BEIJING (Reuters) - A constitutional law textbook written by one China's best-known reform-minded legal scholars has been pulled from book shops, apparently the latest text to run afoul of a government campaign against "Western influence". 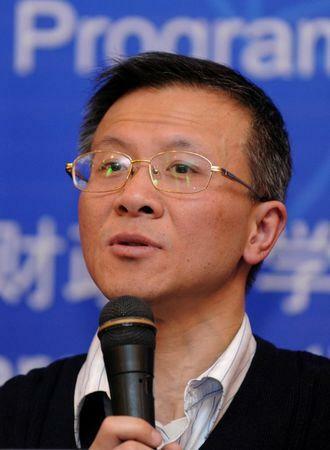 The author, Zhang Qianfan, a professor at Peking University known for his advocacy of constitutionalism and judicial reform, dismissed any suggestion his writing excessively promoted Western ideas as "utter nonsense", and said the academic world should not be politicised. Since taking office in 2012, President Xi Jinping has tightened the Communist Party's control over society including the legal system and education. Universities were told the "fact-finding" sweep was of great importance and they must accurately fill in a chart detailing titles and authors of the books they used, with "no omissions", according to the ministry's posts. The campaign drew criticism from some legal academics, which was amplified by a rumour that the sweep was sparked by an accusation by a professor that certain texts were "promoting Western thinking and agitating for a Western system". 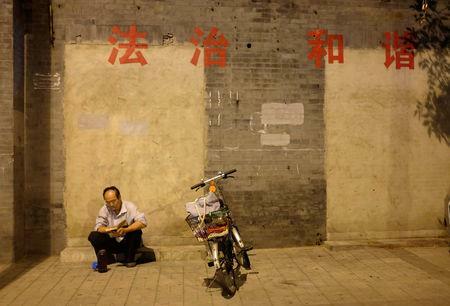 China's constitution promises freedom of speech, religion and assembly, but it is trumped in practice by legislation and regulations, and it is rarely invoked in legal cases. Zhang's book could not be found on China's main online bookstores when searched by Reuters on Friday. Zhang, in an interview published on the WeChat social media platform, rejected any suggestion his texts promoted a "Western" system over alternatives. "To criticize purely for the sake of it and to shut our nation off to the outside world is closed-minded thinking," Zhang said. "Constitutional law, as an academic discipline, should not be politicized," he said. "Any academic discipline should retain a certain political neutrality." "At this time, constitutional law is a 'sensitive' topic. As far as I can see there is basically no public discussion. It seems that everyone is scared," he said. Zhang's interview disappeared soon after it was posted, to be replaced by a notice saying the content had broken "relevant laws and regulations". "The worst part about this incident is that in the current environment, not only are these people not inhibited, but rather they are given a channel, or even rewards," Zhang Taisu, an associate professor of law at Yale University in the United States, wrote on Weibo, referring to the accusers.